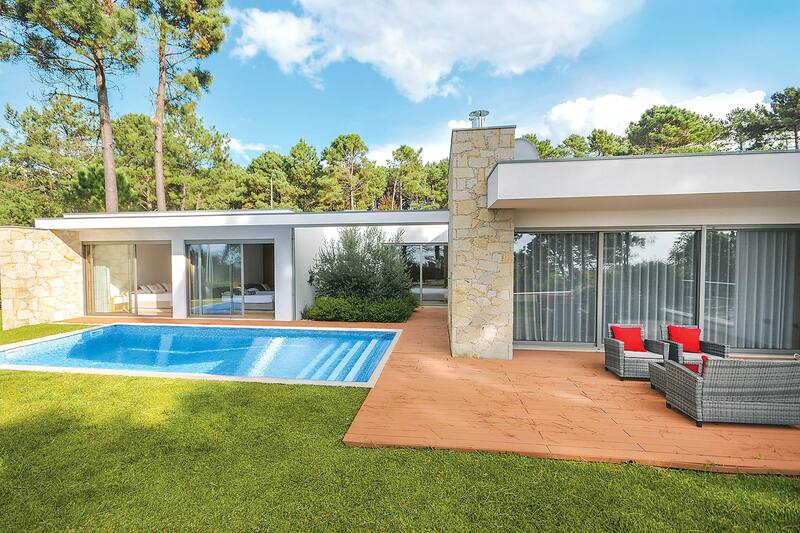 Superb contemporary family holiday villa with sea view. 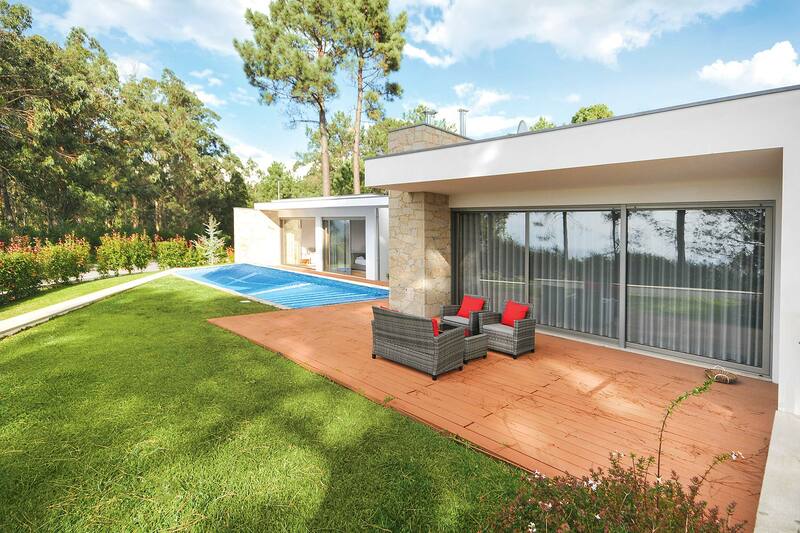 This beautifully modern villa sits in an elevated position that gives outstanding views of the sea and Minho river. There are several sandy beaches within a short drive. 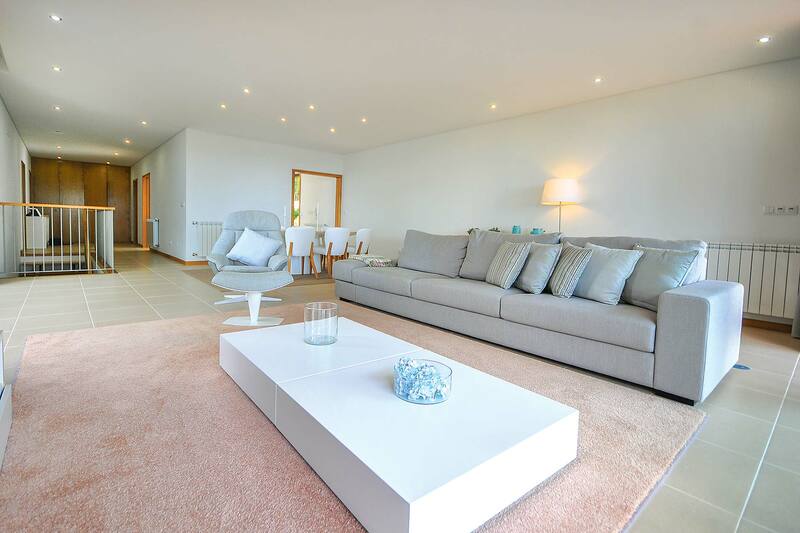 The house has also been equipped with all modern facilities; the kitchen is very well appointed and connects to the living room with doors opening onto a large terrace ideal for alfresco dining. 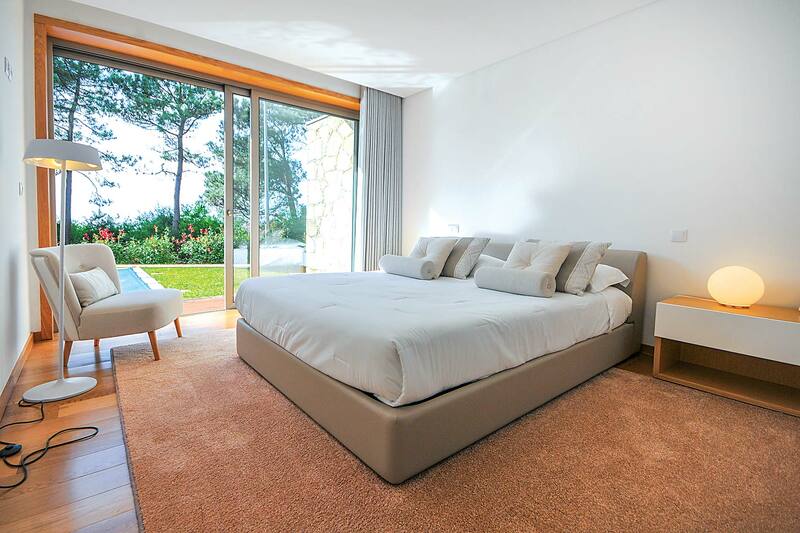 There are five spacious, light and airy bedrooms, all with patio doors opening outside. 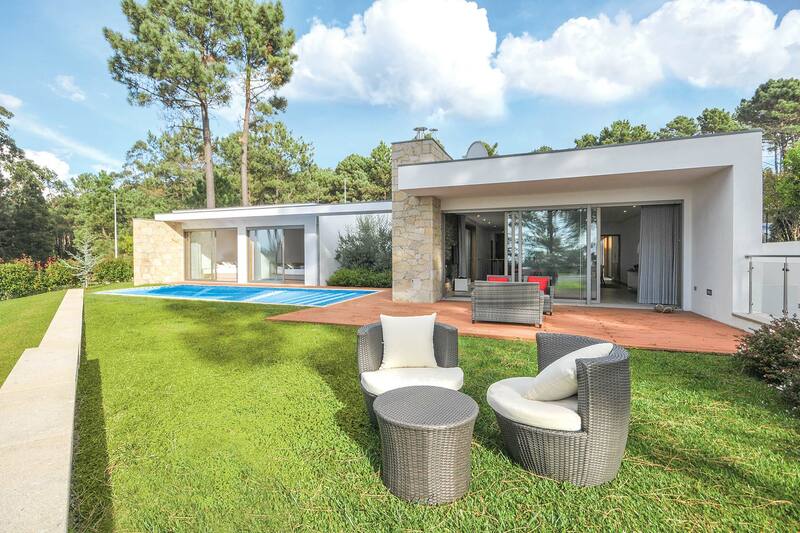 The open plan lounge features large patio doors that lead out to patio and lawn grounds, with an inviting private pool providing a welcome cooling retreat. The spacious lawned garden offer the guests many lovely corners where they can sit outside and enjoy the spectacular views over the ocean. 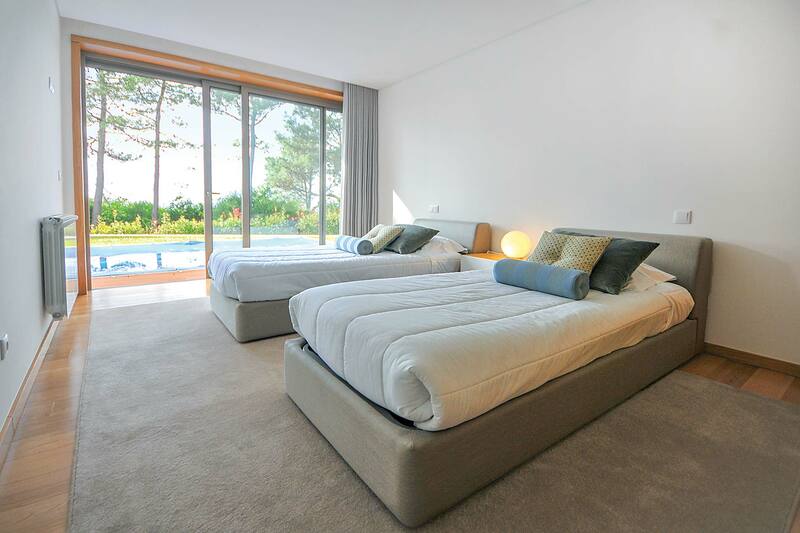 Extremely easy to reach (only 60 minute drive from Porto international airport or from Vigo - Spain - airport) this villa is in an absolutely central position: only 2.5 kms away from Moledo beach - from the train station you can travel to Vigo in Spain or south to Viana do Castelo historic centre - and 1.5 kms from the old roman town of Caminha (with various good quality restaurants, cafes, bars, lively promenades and open air esplanades around the Lima river's waterfront) and 30 kms from the delightful old historic town of Viana do Castelo, famous for its ancient monuments and long sandy beaches. Basic facilities such as a minimarket, shops, restaurants, etc, can be found within a 20 minute walk. 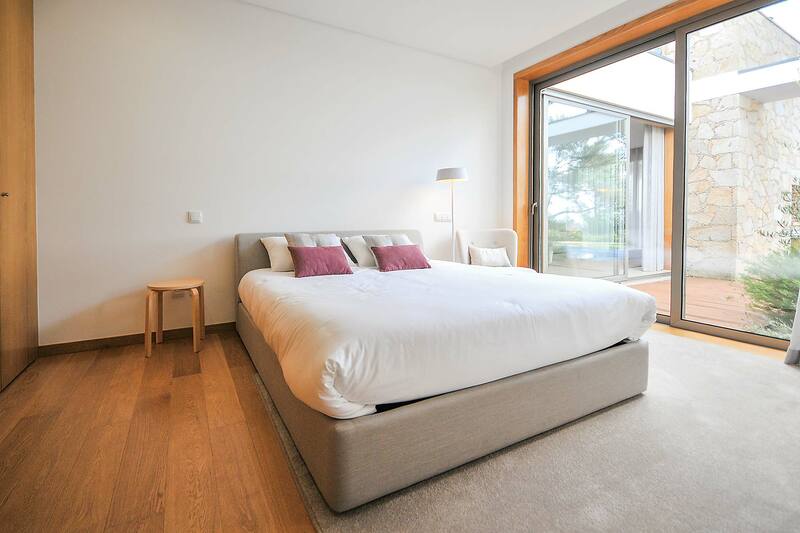 1 double bedroom with door opening onto outdoor terrace. Adjacent shower room. Another bedroom with a set of bunk beds and ensuite shower room. Door opening onto the outdoor terrace. 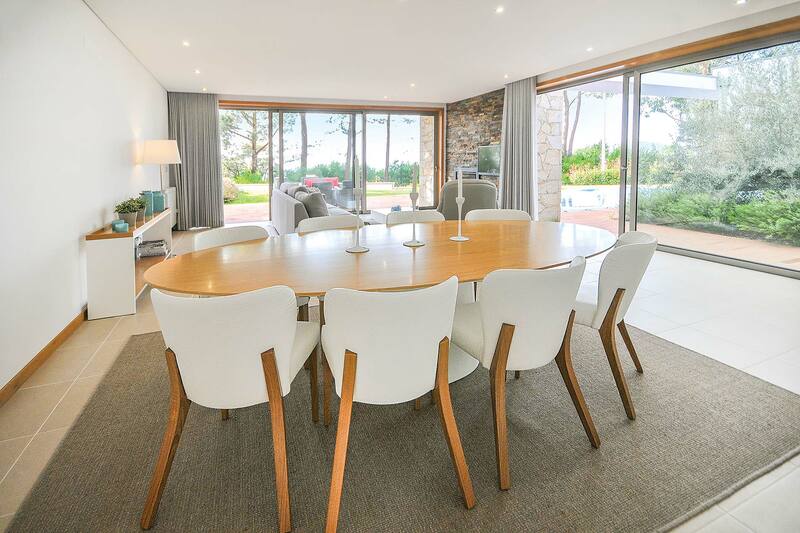 Spacious living / dining room which makes the connection between indoor and outdoor living spaces, leading to a paved and partially covered terrace ideal for alfresco dining. 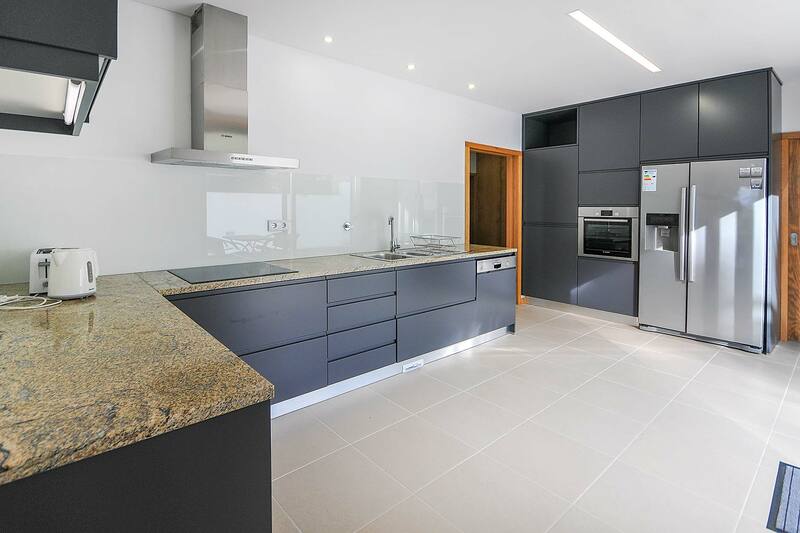 Back inside the villa, you will find a fully fitted kitchen, pantry and guest toilet. Double bedroom and twin bedroom sharing a full bathroom. 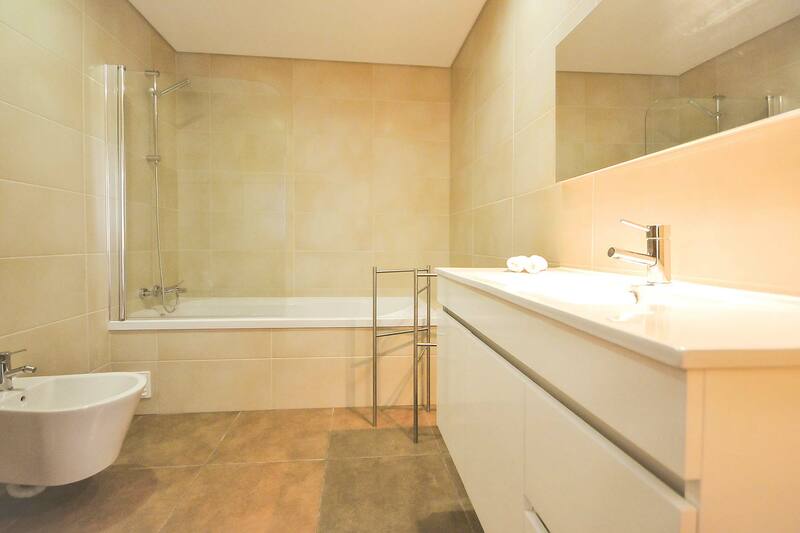 Master bedroom with ensuite shower room. 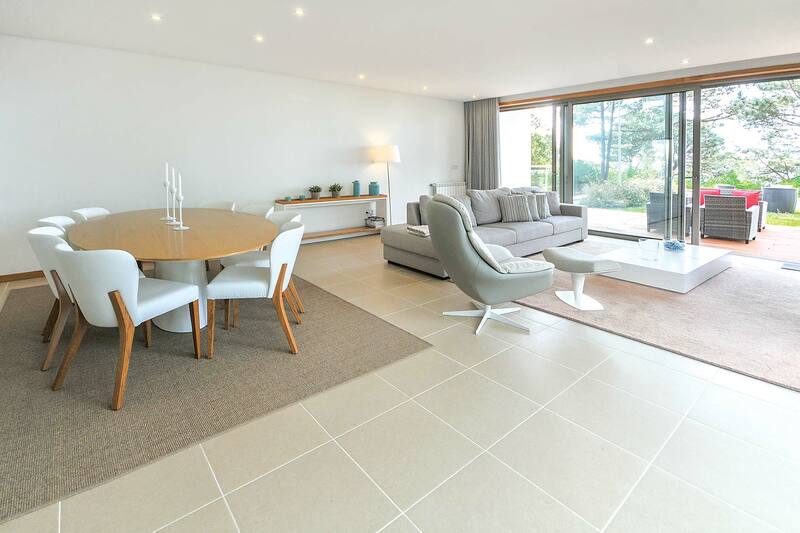 Each of these 3 bedrooms have sliding doors opening onto the swimming pool terrace and garden with uninterrupted sea views. Well kept beautiful mature garden, sunbathing terraces and lawn. Excellent terrace perfect for al fresco dining. The private swimming pool is 8m X 4m. Car parking.